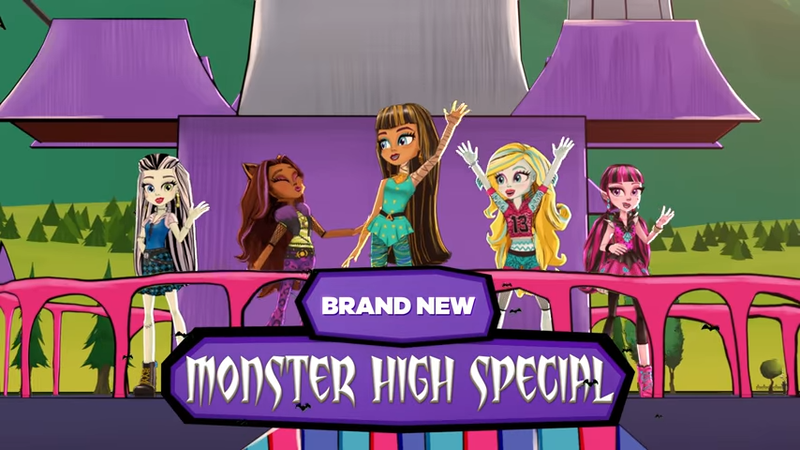 Nickelodeon USA will premiere the brand-new Monster High special "Adventures of the Ghoul Squad: Howliday Edition" on Sunday, October 29th at 12:00pm (ET/PT)! In the brand-new Monster High special "Adventures of the Ghoul Squad: Howliday Edition", Draculaura has a fright idea when her dad lectures her class on human holidays! She convinces the Monster High students that it’s time for monsters to have their own holiday – a Howliday! But, instead of bringing everyone together, the students have different, competing ideas for the howliday, causing deadful chaos. Now the ghouls have to use their abilities to unite the students with the message: Holidays are about family and togetherness. Let the celebrating begin! 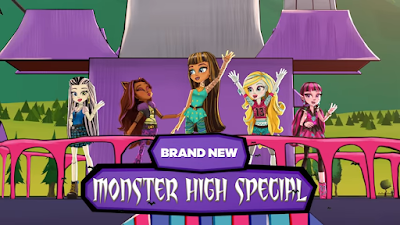 Monster High Adventures of the Ghoul Squad: Howliday Edition will feature the Monster High characters: Draculaura, Clawdeen Wolf, Frankie Stein, Lagoona Blue, Cleo de Nile, Fangelica VanBat, Toralei Stripe, Abbey Bominable, Catty Noir, Operetta, Ari Hauntington, and Alivia Stein. Mattel and Little, Brown Books for Young Readers will publish a brand-new Monster High book, Monster High: Adventures of the Ghoul Squad: Happy Howlidays, Ghouls! : The Junior Novel on Tuesday, December 5th. The paperback is available to pre-order now on Amazon.com and Amazon.co.uk. More Nickelodeon: Nick Jr. USA To Premiere "Enchantimals" TV Special In November 2017! Sources: Zap2it TV Listings, Monster High Wiki; H/T: ToonZone Forums /@kanc. Follow NickALive! on Twitter, Tumblr, Google+, via RSS, on Instagram, and/or Facebook for the latest Halloween on Nickelodeon News and Highlights!